Let the experts at Express mange your promotional, marketing and wearable activities. 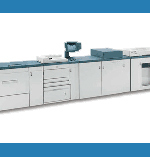 Our systems enable Express to effciently purchase, label, warehouse, package and expedite your organizations needs. Your complete fulfillment solution. let Express do the rest.